A spindly spoke in the archipelago surrounding St. Maarten/St. Martin, Anguilla is a beach-lover's dream. Mile after mile of loamy, cream-white sand fringes this supine island, with tony resorts and high-end restaurants dotting the coastline. A relative newcomer on the cruise circuit, Anguilla is a terrific destination for beach- and resort-focused travelers, but cruise visitors looking for shopping, ziplines and jeep excursions might be left wanting. If it all sounds a bit like nearby St. Barts, that's because Anguilla sparked to life in the years following the French island's emergence on the celebrity scene. They share a notable trait: Both islands are rocky and were unsuited for farming, which made for a hardscrabble existence, mostly devoid of the plantations that cropped up through most of the region. Like the British Virgin Islands, Anguilla remains a British overseas territory, but it probably owes a bit of its success to that Gallic neighbor, which provided inspiration for what a polished, swank beach destination could be. Because Anguilla took shape well after the initial arrival of tourists to the region, it escaped the mass development that coursed through most of the Caribbean in the 1960s and after. 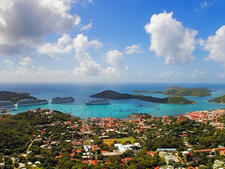 Anguilla is a tender port and, for now, attracts only smaller ships (under 500 passengers). The island covers just 35 square miles but the population is less than 15,000, so you won't find yourself following in the footsteps of a bazillion other cruise visitors, much less fighting for your own patch of sand with the easygoing, exceedingly friendly Anguillians. Possibly the Caribbean's finest collection of beaches, served with a side of fine dining. Scrubby, uninteresting landscape; limited activities beyond the sea and sand. 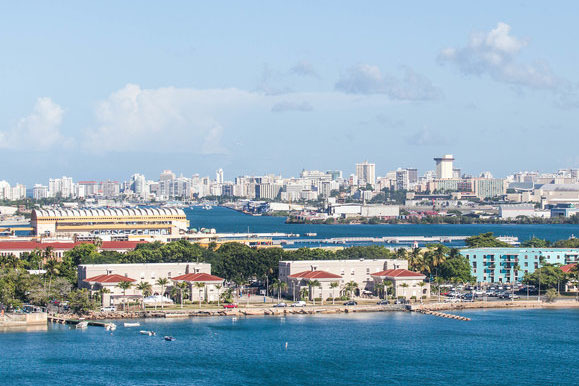 It's beach bum and foodie heaven and colorful island tours might leave you wanting more. Anguilla is a tender port, and you'll come ashore at Road Town, a small dock fronting a beach village known as Sandy Ground. Customs formalities are simple and straightforward. 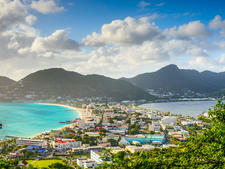 Like St. Barts, Anguilla draws A-list celebrities looking for upscale resorts packaging privacy and pampering. While many of them stay sequestered in their extravagant villas or by the resort pool, don't be surprised if you see Ellen DeGeneres, Paul McCartney and other Page Six types tooling around in a rental car in search of an under-the-radar lobster lunch. 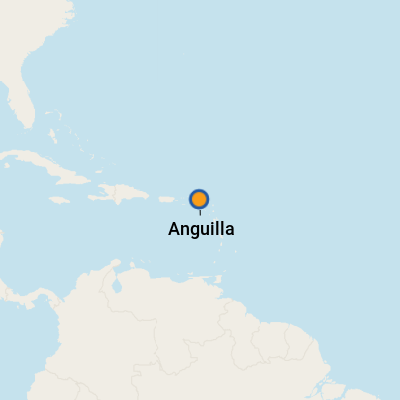 On Foot: While Anguilla is relatively flat and easy to navigate, there are few sidewalks and walking along dusty roads with little to no shade is no fun. If you want to explore on foot beyond Sandy Ground, get yourself to a long carpet of sand, like Rendezvous Bay or Shoal Bay, and enjoy a beach walk. By Public Transportation: There is no public transportation connecting Sandy Ground with most beaches or sights. By Taxi: Because of the limited services on Anguilla, taxis might be in short supply when you arrive. Budget $20 to $30 for a taxi for two to most points on the island; add $5 for each additional passenger. A two-hour island tour runs about $55. By Rental Car: Since taxi fares can add up quickly, a rental car could be your best option if you want to really see the island. Be aware that you'll be driving on the left, and roads aren't always in great shape, but traffic is so light that these shouldn't be issues. There are few pedestrians along the roads, though goats do scamper about. The supply of rental cars is limited, so you'll want to reserve a car in advance. Most vehicles will cost under $50 per day to rent. Andy's Rentals, Bryans Car Rental and Junie's Car Rental are among the options that provide online booking. You'll need to purchase an Anguilla driver's license, which is $25 for a three-month permit -- the rental car company will supply the paperwork and can process the application on the spot. English is the language of Anguilla. You'll tender ashore at Sandy Ground, a small village lining a calm beach with a number of beach bars, including Elvis, Johnno's and SandBar -- all fine spots for "limin'" away the day. Captain Jojo will take you on the 5-minute cruise over to deserted Sandy Island, where grilled crawfish, barbecue chicken and ribs are on the menu. At Rendezvous Bay, the aptly named SunShine Shack straddles a sublime beach and serves island-style barbecue heaped with sides of rice and peas, coleslaw and plantains. At Meads Bay, Blanchards has been an island favorite since it opened in 1994, and the adjacent Beach Shack serves lunches of blackened mahi salad, jerk chicken sandwiches and street tacos. There is no shortage of terrific restaurants on Anguilla, and more upscale options include Jacala at Meads Bay, a favorite for island regular Martha Stewart. The menu includes wakame-marinated tuna carpaccio, salad Nicoise, lobster club sandwiches and steak tartare prepared tableside. Hibernia, located on Anguilla's East End at Island Harbour, serves contemporary French cuisine with a strong Thai and Japanese influence. Come here for freshly smoked Caribbean fish served with a horseradish-ginger cream, grilled mahi mahi coated with salted almonds and lobster tail roasted with miso and black garlic sauce. Anguilla is not a shopping destination. But there are few places worth checking out, including Cheddie's Carving Studio, home to a local artist who has a way with driftwood, creating beautiful hand-carved pieces -- no two alike. If you make it as far east as Island Harbour, stop by Anguilla Sea Salt Company, housed in a small West Indian chattel house; this 100 percent locally sourced product makes a great gift. There are also a surprising number of artists calling Anguilla home, and studios selling their wares abound. Stop in to see if you find something you like.